UAPMT Provisional Results 2017: The Uttarakhand Ayurved University has conducted the Ayush Pre-Medical Test for BAMS/BHMS Courses on 3rd September 2017 for the candidates who submitted their application forms. It has released the UAPMT Provisional Results 2017 on its official web portal uau.ac.in. The University is going to release the UAPMT Result 2017 on 11th September 2017. A total of 880 seats are available in the Ayush Colleges out of 880 530 seats are filled through UAPMT Results. You can check the UAPMT Provisional Results 2017 by entering your Hall Ticket Number or Registration Number in the given fields. Candidates whose name exists in the provisional result take a print out of the document, because you have to take all the required documents while attending counselling. The University will release the Uttarakhand Ayush Pre Medical Test Cut off Marks after the final declaration of UAPMT results. It will release the final result subject to verification of documents at the time of counselling. Candidates will be called for counselling based on merit marks. Download the UAPMT BAMS/BHMS Merit List from the official website uau.ac.in. Uttarakhand Ayurved University is the sole authority that concentrates on teaching and research on Ayurveda. It was founded in the year 2009 at Dehradun. In Ayush, it researches on Ayurveda, Yoga, Naturopathy, Unani, and Siddha. It selects eligible candidates and provides admission in various Ayurveda courses. 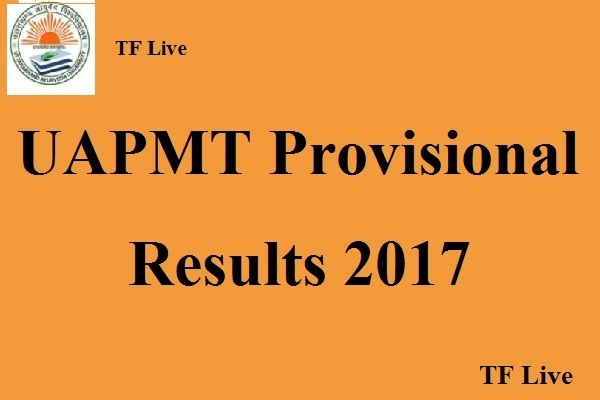 Click on the direct link given below to check UAPMT Provisional Results 2017.